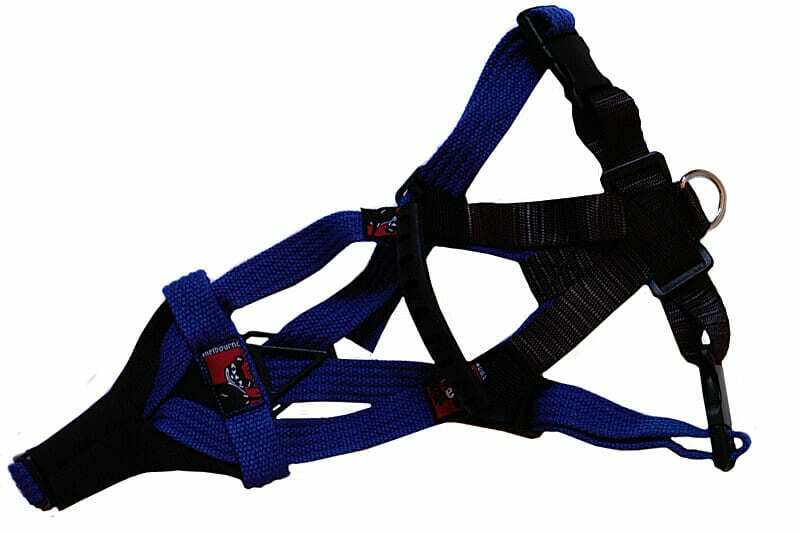 Our front clip harnesses are Australian made of brushed polyester/cotton webbing and available in a variety of colours. 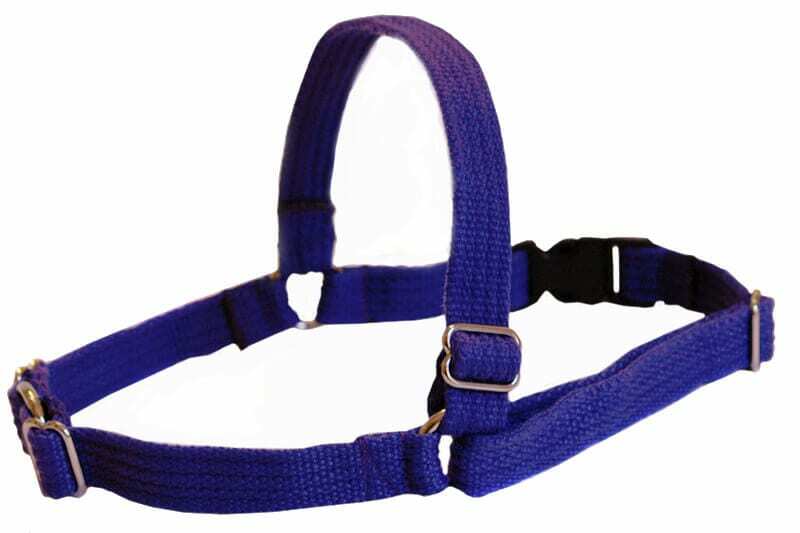 This harness gives you instant control over your dogs movements and is ideal for walking the puppy or dog that pulls or tugs, The lead clips onto the ring at the front of the harness thus eliminating pressures on the dog’s throat and neck The harness slips easily over the dog’s head and clips around the body and being fully adjustable it will grow with your dog. 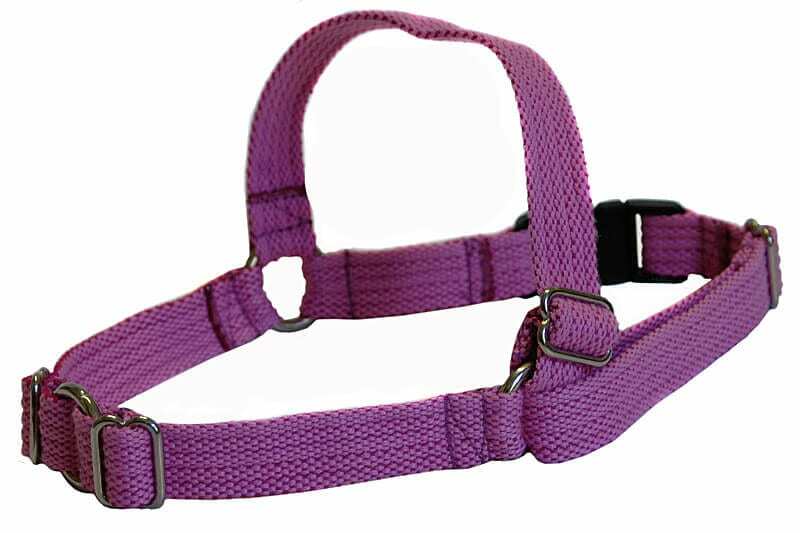 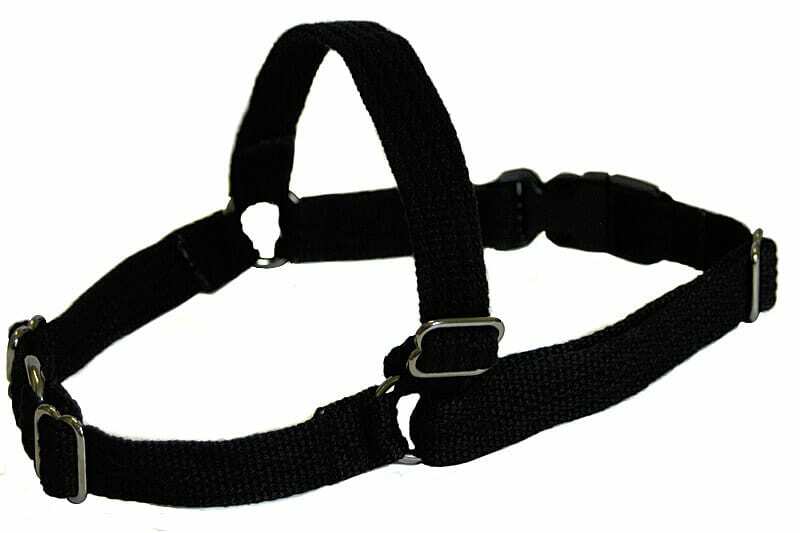 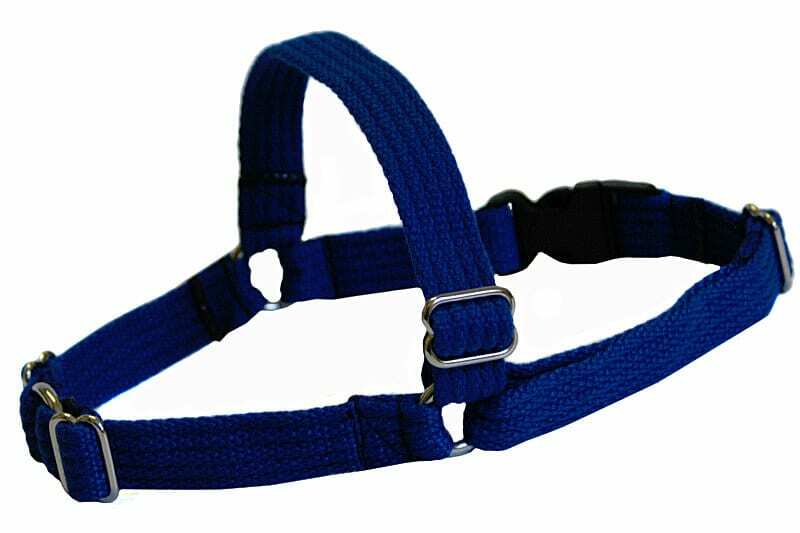 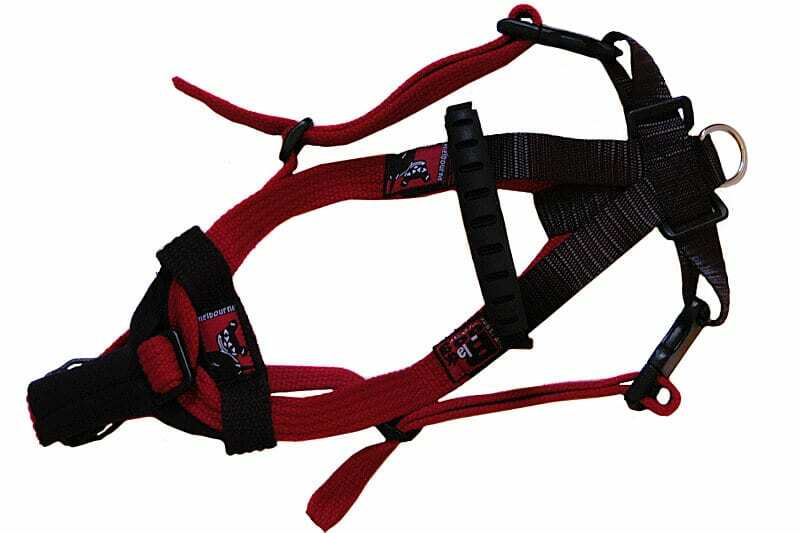 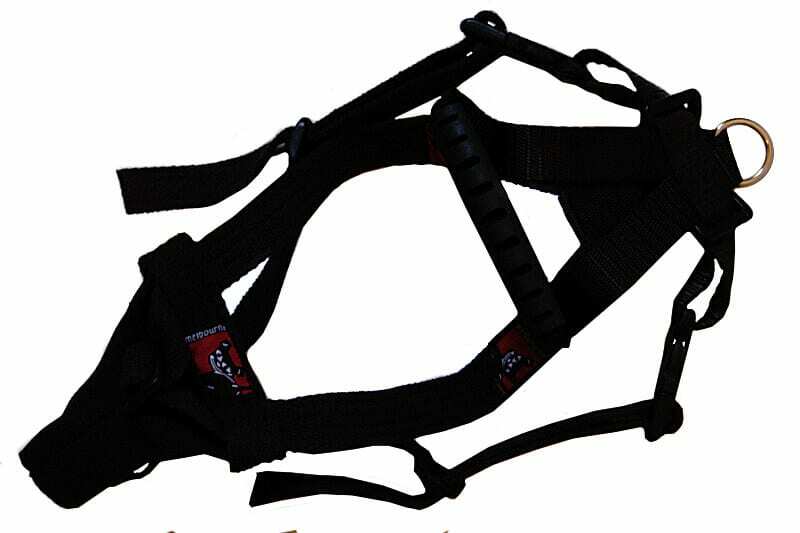 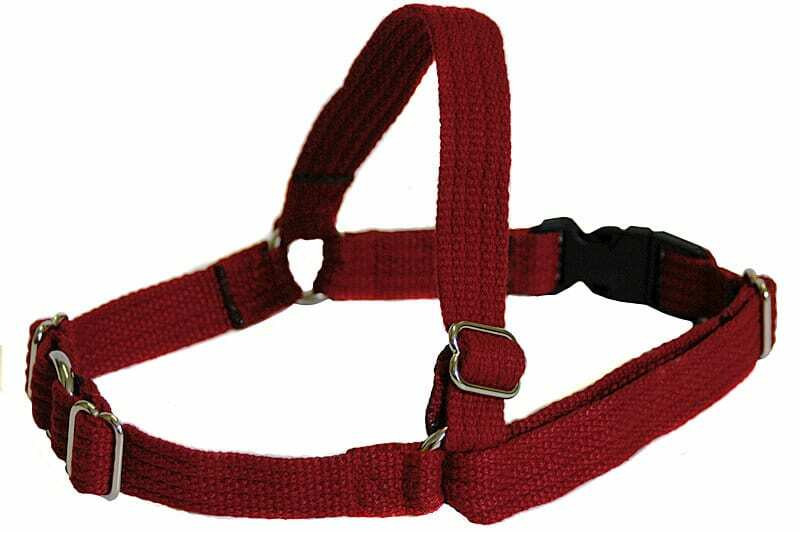 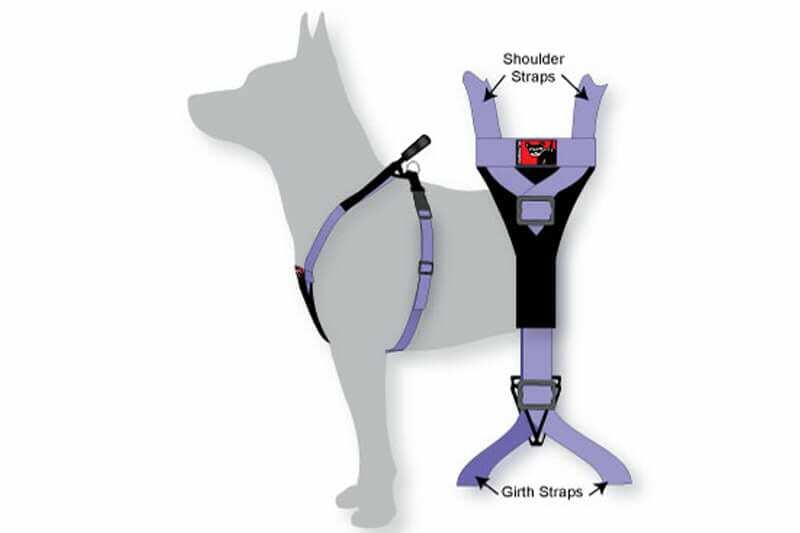 This fully adjustable “Y” front harness has been specifically designed for Flyball racing and has a soft grip, molded handle.